To avoid the need for multiplying factors or values with a large number of zeros, prefixes are used. The prefixes cover a range extending from 1024 to 10-24 times the units. 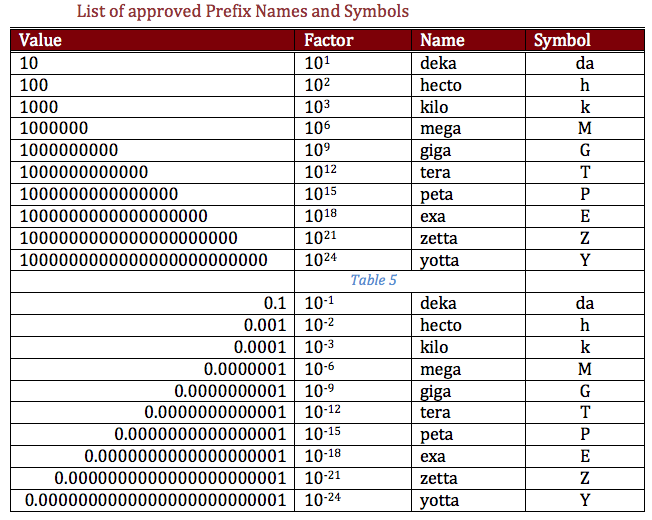 Table: Approved prefix names and symbols.